I am all about this statement! Giving my clients the best experience possible as they transform to a better version of themselves. I have always believed in treating my clients as I would want to be treated when getting my own hair done. 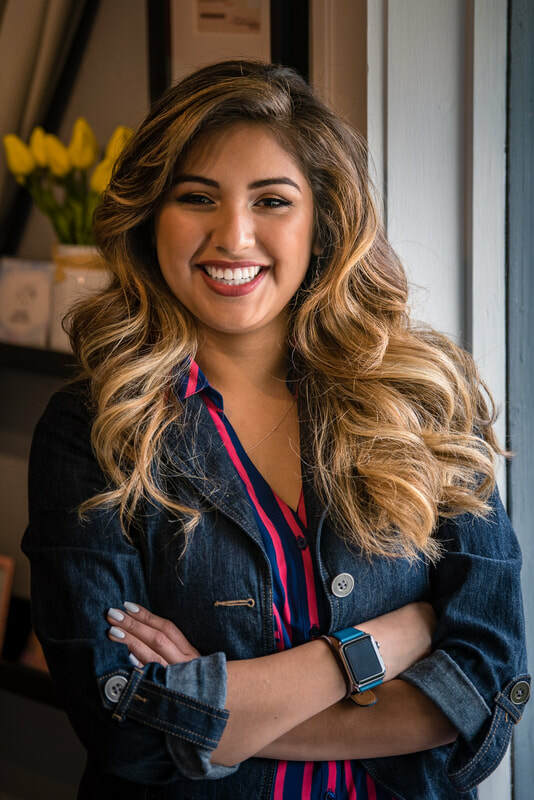 ​As a graduate of The Paul Mitchell hair institute in Portland, I established The Torres Experience out of my home studio with many of my beauty school clients in tow. Since then, I have joined the Elevations Hair Design team, where I continue to grow not only my business, but my technical skills. ​My passion for all things hair and beauty translates through my work. I take pride in building relationships with all my guests which starts with a full complimentary consultation. While I truly enjoy doing your everyday natural hair colors, I thrive while doing fashion colors! Patience and color theory are mandatory for these types of transformations and I really embrace the challenge!